My thanks to Straits Pen for the ink sample. 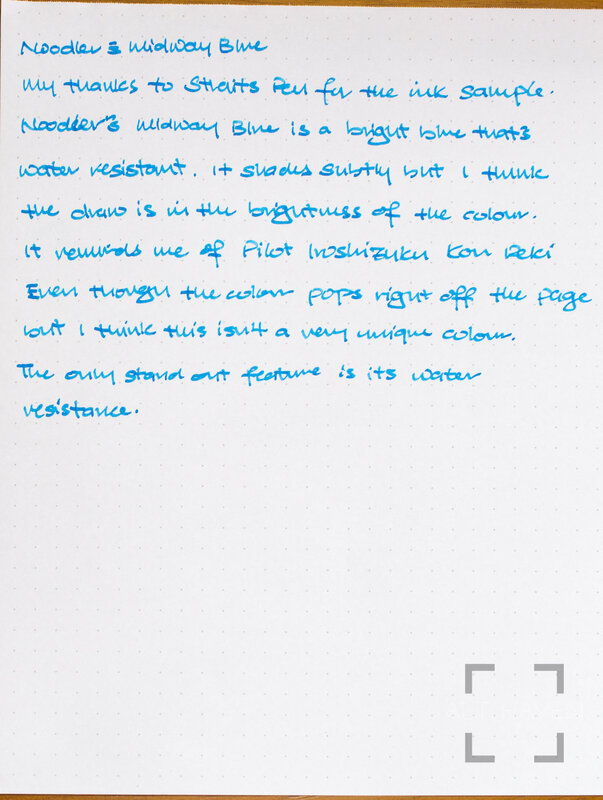 Noodler’s Midway Blue is a bright blue that’s water resistant. It shades slightly but I think the draw is in the brightness of the colour. It reminds me of Pilot Iroshizuku Kon Peki. Even though the colour pops right off the page but I think this isn’t a very unique colour. The only stand out feature is its water resistance.